What can you expect from Samsung's next phablet? Samsung's next major smartphone is likely to be the follow up to the Samsung Galaxy Note 3. We round up the news and speculation on its specs, features and potential launch date. It's the big question, but it's also the one we one we know least about. The best evidence we have are comments from an unnamed Samsung executive. Speaking to Gottabemobile, the executive said the phone will arrive in autumn. 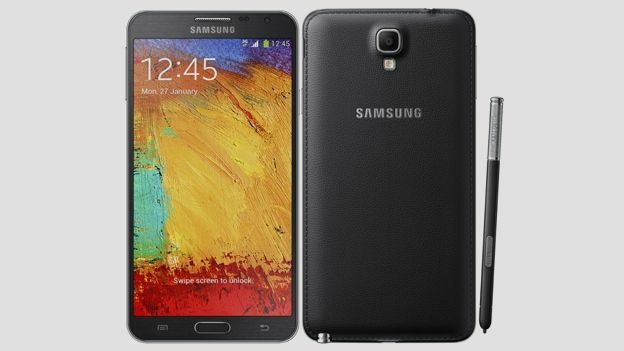 Although it's far from guaranteed, chances are the Samsung Galaxy Note 4 will be unveiled 12 months after its predecessor in September. The Note 3 was launched at an event just prior to IFA 2013 – it's likely the Note 4 will be too. As for when you'll be able to get your hands on it? Well, we'd guess it will be the same as with the Note 3 – around three weeks after it was unveiled– so the end of September. We'll probably found out more about this closer to the time. Keep your eyes peeled and we'll bring you any news or rumours as they come in. Perhaps the best place to look for an idea of what to expect is Samsung's Galaxy S5. Samsung took the unexpected step of moving away from the specifications and features battle with its latest smartphone. Instead, the Galaxy S5 is a refinement of what is out there – taking the best of every phone on the market and bringing it into one package. Chances are Samsung will take a similar approach with the Galaxy Note 4. A fingerprint scanner is almost a given, while a super-high resolution display is also extremely likely. One exception to that is the Note 4 is likely to come with a 64-bit processor. Samsung said at the time of the Galaxy S5 launch that it had decided not to put a 64-bit processor into the phone because Android wasn't able to make use of it. Indeed, it is looking increasingly likely that it won't be until June or July that Android will finally gain 64-bit support. That gives Samsung plenty of time to implement a 64-bit processor into the Galaxy Note 4. There are also rumours that the phone will come with a curved screen. However, at the moment, there isn't much in the way of solid evidence that that will be the case. Are you planning on buying the Samsung Galaxy Note 4? What would you like to see? Let us know below in the comments.